Did you know artist Georges Seurat was born in December? Why not take some time to learn about this artist with these fun ideas - Georges Seurat for kids. Georges Seurat was a French post-Impressionist painter who developed pointillism, a technique that uses small dots of color to create an image. His most important work, Sunday Afternoon on the Island of La Grande Jatte, took him two years to complete. Learn more about Georges Seurat. Painting like Seurat is an easy art project for kids. The projects below will give you some great ideas that use Seurat's techniques and a variety of mediums - from cookies to paint to melted crayons. If you'd like to create a well-rounded art study, include some books and resources with your art project. Take some time to do a project or two, read a book together, and study some of Seurat's art (here are some simple guidelines for art study). 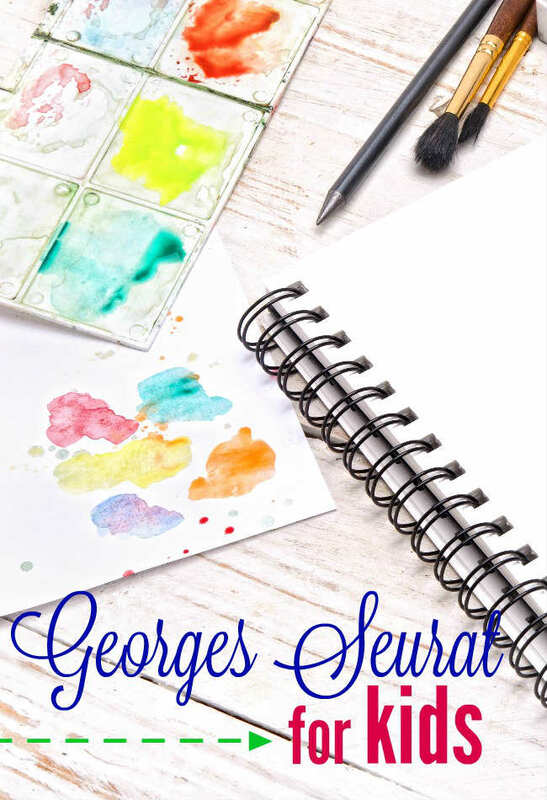 Check out the links below for some great ideas to study Georges Seurat - posters, free worksheets, stickers, even a paint-by-number project. More fun birthday lessons for December from the iHomeschool Network.